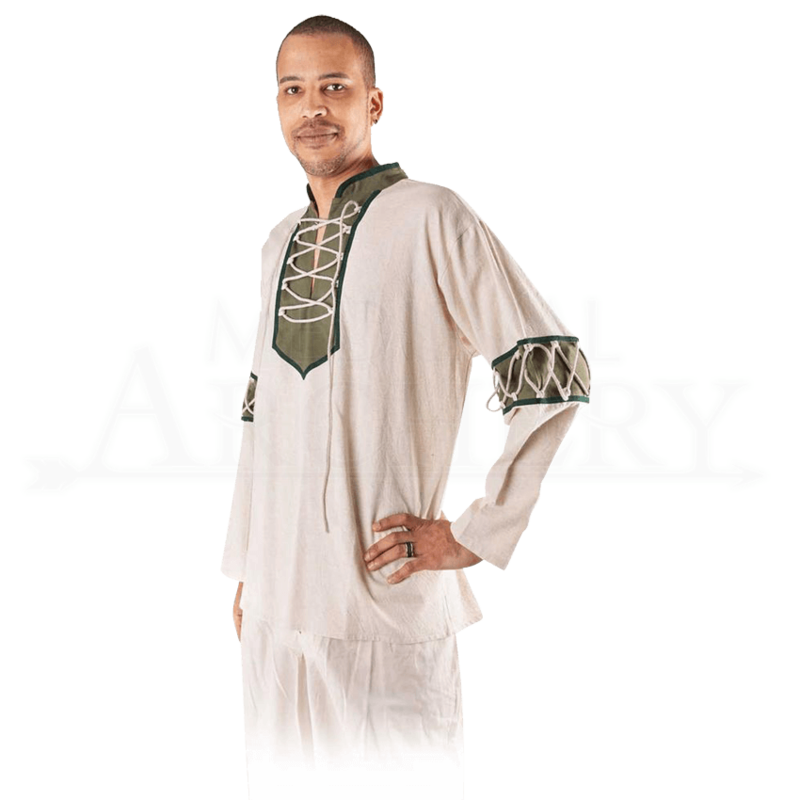 The Medieval Shirt with Laced Collar and Sleeves is a classic choice when it comes to putting together your ideal reenactment look, especially when you consider that this garment will make your look all the more distinctive. This shirt is made entirely from a cotton-linen fabric blend, which combines the cool, lightness of linen with the durability of cotton, to make sure that the shirt is both durable and comfortable. It features a short, raised collar, colored in an accent hue, as well as a laced closure across the chest. The shirt also features full-length sleeves, ringed with accent color about the elbows, while also featuring laced-up accents over the colored band, as well. The shirt is offered in three colors, as well as in three different sizes. Casual and comfortable, this Medieval Shirt with Laced Collar and Sleeves makes for a great choice of attire when it comes to medieval looks, and the unique detailing makes it a solid choice for knights and nobles, as well as peasants, too.